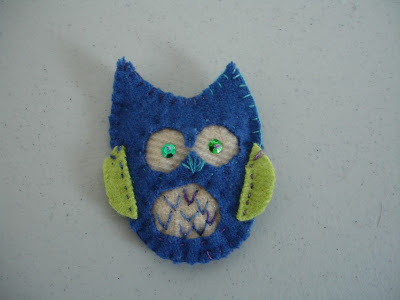 Christmas is right around the corner but it's not too late to find the perfect handmade gift to give! 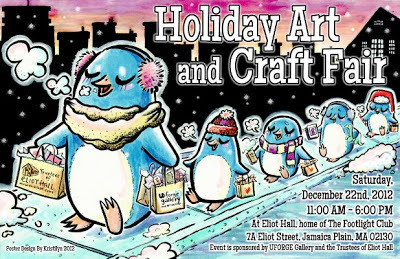 This Saturday in Jamaica Plain you can head to Eliot Hall in The Footlight Club to do your last minute shopping. 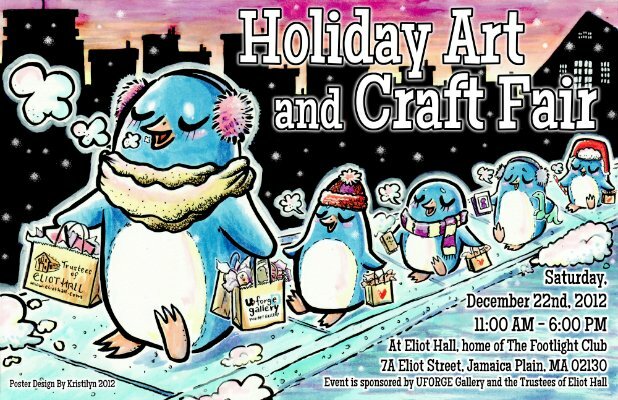 The event, sponsored by UForge Gallery and Eliot Hall, will host 30 vendors selling handmade arts and crafts including Boston Handmade members Karen Mahoney of City by the Sea Ceramics and Sharon Fischer of Stray Notions. 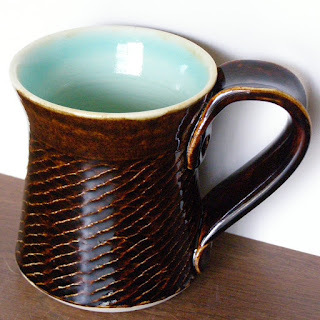 Stop by and see what these local artists have, you may find the perfect item.